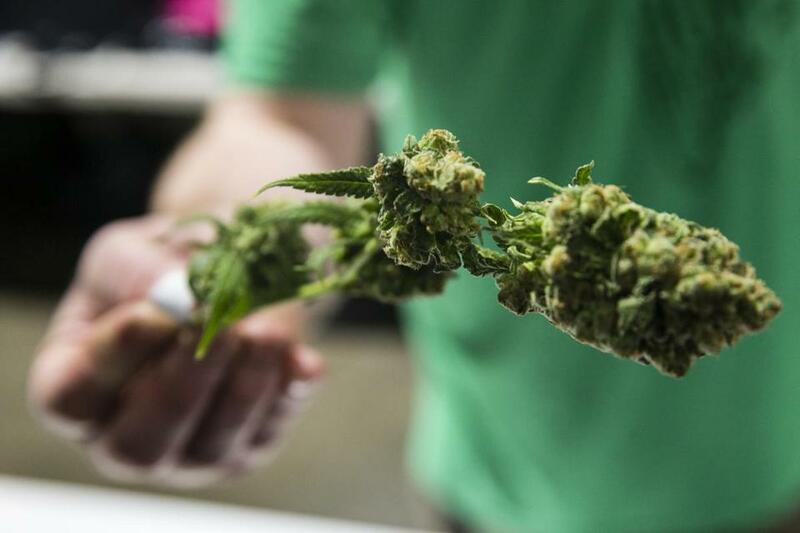 The Massachusetts Cannabis Control Commission on Monday issued the state’s first license for a recreational pot store, awarding a provisional permit to a medical marijuana dispensary outside Worcester. The vote marked a milestone in the state’s march to set up a legal commercial marijuana market, though sales to adults who aren’t registered patients are likely weeks away. The dispensary, Cultivate in Leicester, must first pass final inspections, and its owners and managers must complete fingerprint-based background checks. Still, there is a growing feeling of momentum as the launch of a new era of cannabis commerce comes into view. As of late last week, 32 companies had submitted 63 applications for different marijuana licenses, including those for cultivation, research, manufacturing, transportation, and retail. Massachusetts voters approved recreational marijuana at the ballot box in 2016. State lawmakers then delayed the implementation of commercial sales by six months while they rewrote the law, setting July as the target date for shops to open. Industry players and cannabis advocates alike have generally praised the Legislature’s revisions, saying they resulted in a better regulatory agency, and the cannabis commission has hit its deadlines. Still, consumer impatience is growing, as evidenced by a flurry of pointed comments on social media. Barber, for his part, praised the commission’s “rigorous” licensing process, saying its thorough background checks and regulations had helped make Leicester officials and residents more accepting of his business. “Our team has a tremendous amount of work [ahead] getting ready for this big influx,” Barber said. One potential speed bump: Any products Cultivate sells must be tested by a licensed laboratory for purity and potency. So far, only two of the state’s four primary labs that test medical marijuana have submitted partial applications for licenses to test products for sale under the commission’s recreational regulations. However, the commission recently voted to put applications from labs at the front of the line for review, and officials expect to resolve the issue soon. Another wrinkle: Cultivate’s growing and processing operations — located on the same property in Leicester as its dispensary — must receive separate licenses from the commission before they can supply products for sale on the recreational market. If its retail store gets final approval to go recreational before its own growing and manufacturing operations do, Cultivate could potentially source marijuana products from other suppliers with recreational licenses. Cultivate could also ask the state Department of Public Health, which regulates medical marijuana, for permission to transfer some of its inventory from the medical system to the recreational one. That’s allowed under state law, but health officials have yet to detail the precise process for doing so. David Torrisi, president of the Commonwealth Dispensary Association, a trade group, on Monday accused the DPH of dragging its feet on resolving the transfer issue and a number of similar bureaucratic hurdles related to hybrid recreational-medical shops — such as waiving a requirement that only registered patients and their caregivers can set foot inside a dispensary. Except for those hurdles, he said, medical dispensaries are essentially ready to begin recreational sales as soon as they are licensed and inspected by the cannabis commission. A DPH spokeswoman said in a statement last month that the agency was “collaborating and meeting regularly with the Cannabis Control Commission to develop and implement a sound and safe process for the transfer of existing medical plants to adult-use.” The agency did not immediately respond to a request for comment Monday evening about Torrisi’s remarks. In the meantime, the commission is poised to continue processing license applications from other companies. Shawn Collins, the commission’s executive director, said another five or six completed applications are nearly ready to be voted on by the commission, which is scheduled to meet again next Thursday. The commission on Monday also gave provisional approval to other aspects of Sira Naturals’ operation, unanimously voting to issue licenses for the company to transport marijuana and process it into edibles, lotions, and other cannabis-based products.